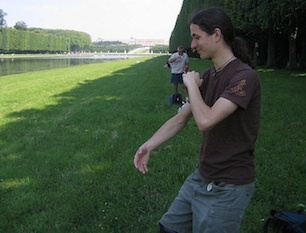 Payton has trained extensively in the Wu Style of Tai Chi Chuan and Energy Gates Qigong. He started Green Leaf Tai Chi to focus on making the underlying principles of these arts accessible and applicable to the daily activities of the casual student. He is an Energy Arts certified instructor. There are five styles of tai chi and thousands of variations. The Wu style I teach is based on the principles of internal alignment, small motions, body and qi awareness. 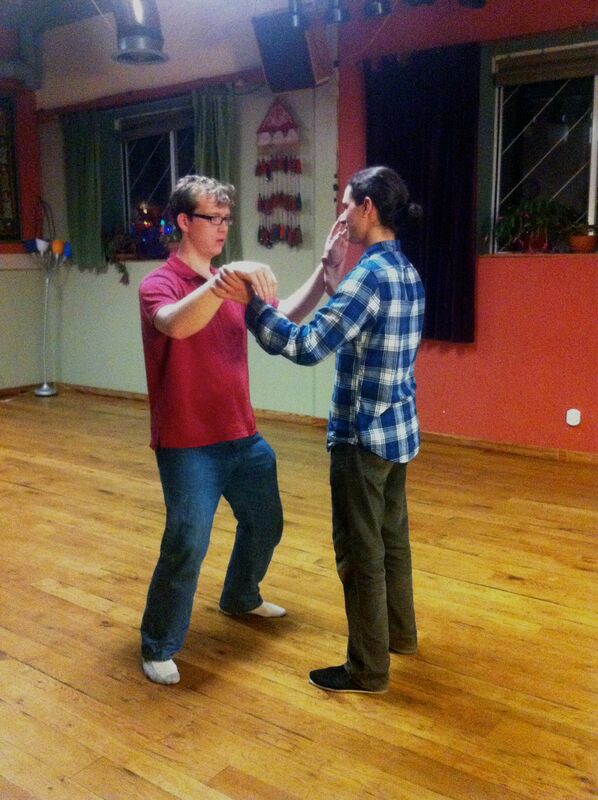 Even though it is a martial art, it can be thought of as an expression and application of qigong (see below). The movements of Tai Chi are designed to create strongly coordinated movement patterns in our bodies that distribute pressure and allow the application and redirection of force in the most efficient way possible. The short form which I teach is a series of 28 movements that are drawn from the Wu Style long form. These postures have been chosen because they involve much less complexity and balance, offering the opportunity to focus deeply on the internal aspects of the body. The first 8 of these movements represent the fundamentals of all Tai Chi and are the core of my classes. Each movement can be practiced in many different ways. Careful alignment and weight shifting is important, but so too are smoothness and circularity. Finally, many postures can be held for one or ten minutes to circulate, raise, or lower the energy level of your body and mind. All of these methods of practicing Tai Chi are important and should be gently repeated separately and then combined to find a way to move in the most comfortable and focused manner. Opening the Energy Gates is a set of qigong exercises that teach us how to soften and dissolve tension through awareness of the body and proper alignments. By focusing on developing smooth motion in the joints – including the ankles, hips, knees and shoulders – the gentle postures and movements of this practice increase the circulation of energy in the body. This and other fundamental principles of qigong help to bring relaxation and ease to everyday activities. Sitting, standing, walking and moving are all activities that require “work”. Whether lifting a heavy box or even just standing still, we have to put forth effort. Without proper alignment, we are likely to work much harder than necessary. That extra work can be uncomfortable and exhausting as well as lead to the development of kinks and knots in the body. One of the goals of qigong is to find the natural alignments in our bodies that allow us to do the least amount of “work”. Our bodies should be able to be relaxed and comfortable whether we are standing or moving in any activity.